Have some fun with our huge selection of Flopsie plush animals! Snowy, our plush snowy owl by Aurora is a unique recreation of this amazing animal! 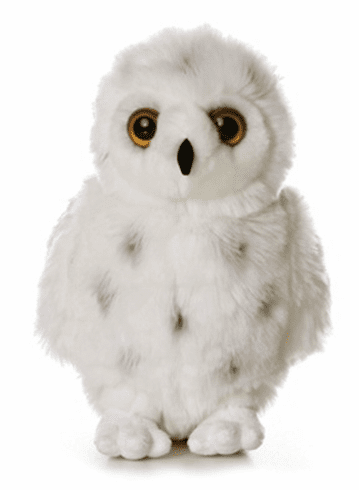 Measuring 12 inches tall, Snowy the stuffed snowy owl is made of soft white plush fabric with black accents. Realistic eyes and amazing detailing give this plush snowy owl character. And as with all of Aurora's quality stuffed animals, Snowy the plush snowy owl is made of all new kid safe materials. Surface washable; for ages 3 and up.